Home > Ask Our Experts > Child Friendly Pet For Epilepsy Sufferer? My nephew is 18 months old he has epilepsy and learning difficulties. I would like to buy him a furry pet that he can watch and in time play with. I am unsure what to get him, as I don't want to buy him a cat or dog. Are there any other pets you can suggest that will be child friendly? I’m really sorry to hear about your little nephew’s problems – but what a lucky little chap to have such a kind and thoughtful relative. I have to start by laying my cards firmly on the table – I’m no expert when it comes to childhood epilepsy – so I had a quick chat to the nice people at the Epilepsy Action helpline and the good news is that the fact your nephew has epilepsy shouldn’t limit his choice of pet. Having said that, of course, it has to be a good idea to check with his parents and GP or other healthcare provider just to make sure that what you’re planning is going to work out for everyone concerned. Taking on any sort of pet is a big responsibility and picking one suitable for an 18 month-old brings its own particular considerations, particularly if you’re looking for something furry, since mammals generally need a fair degree of care and attention. Bearing everything that you’ve said in mind, my top three furry pet suggestions are all rodents. A long-established favourite, these chaps are great fun. 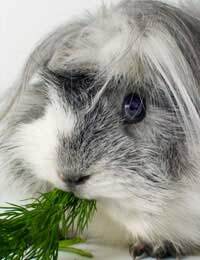 They’re being pretty easy to keep, tend to be very tame and friendly and almost never bite – which can be a problem with a number of other traditional children’s pets, including rabbits and hamsters. They’ll fit in well to most households, since they aren’t smelly or destructive and they make very little noise – except when they think it’s supper time, and then their hopeful “whoops” can get a bit loud, but then that’s all part of their charm! They get the top spot largely because even quite young children can learn to handle them – though you’re best advised to get a pair, since they do like a bit of company. Despite their unenviable reputation, rats make great pets. They’re clever and engaging little animals that soon learn to recognise their owners and seem to genuinely enjoy handling and human interaction. Forget any prejudices – the “fancy” rat is a million miles away from its filthy wild relatives in just about every way; clean, disease-free and with wonderfully friendly natures, they’re a joy to have around and like guinea pigs, bites are almost unknown. Gerbils are a great “alternative” to hamsters which can be a bit grumpy and quick with their teeth. Another virtually guaranteed non-biter, they make excellent pets and can keep anyone amused for hours with their antics. The biggest draw-back with these small, attractive rodents is that they are a little tricky to handle – unlike rats, their tails are covered in fur and if they’re held too tightly, the whole thing can be skinned rather like pulling off the finger of a glove. On balance, given the age of your nephew, they’re probably not a good choice for right now, but when he’s a few years older, they’re something you might want to consider. I do hope one of these appeals; getting him a pet to watch and eventually play with sounds like a great idea and I’m sure he’ll really enjoy whatever you pick. Have fun choosing!